All five of Washington’s starters and two bench players finished with double figures for the Wizards’ third win in four games. Trevor Ariza led the Wizards with 20 points, 12 rebounds, four assists and zero turnovers in their 101-87 win over Detroit in a Monday matinee game at Capital One Arena. Bradley Beal added 16 points and Otto Porter, coming off the bench, had 19. All five of Washington’s starters and two bench players finished with double figures for the Wizards’ third win in four games. The win continues some much-needed momentum for the team, which has been through already a roller coaster of a season. 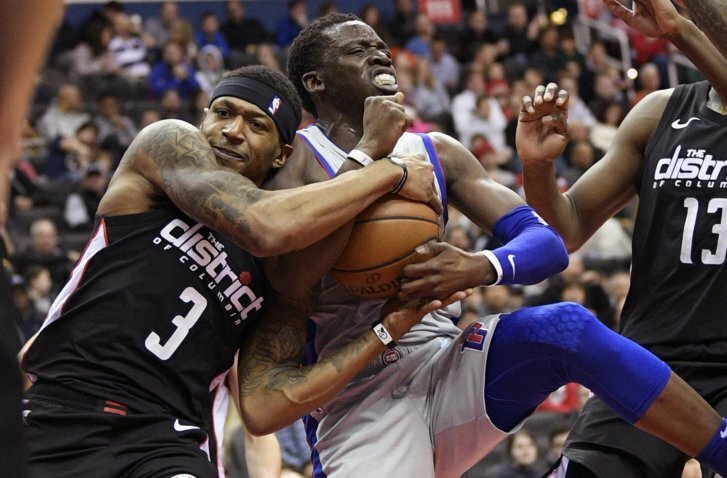 One thing you should know about the game: The win could continue to tamp down talk about the Wizards making big moves with their big three players before February’s trade deadline. They are now tied with the Pistons in the standings at the ninth spot in the East, and are within easy striking distance of the sixth spot. What’s next: The Wizards host the Golden State Warriors on Thursday at 8 p.m. Coverage begins at 6:30 p.m. on NBC Sports Washington and MyTeams. Listen to Wizards Talk, NBC Sports Washington’s Wizards podcast.